Tjen Folket on the situation in Syria : Dont accept propaganda for war! We are currently witnessing a all out media campaign by the imperialist countries in favor of a NATO-war in Syria. 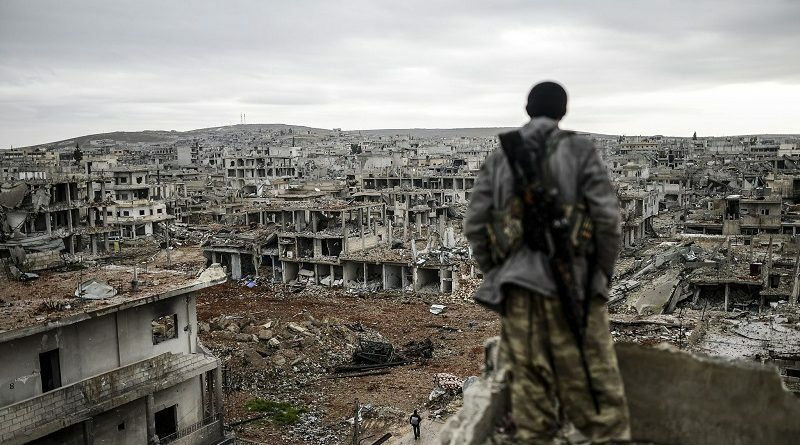 War is a hell and five years of war in Syria has done little more than bring millions of people unimaginable suffering. Through TV, newspapers and social media, many people in the west may have the impression that Assad is the only person committing acts of terror against the Syrian people. But in fact, the people fighting Assad are Al-Qaeda, ISIS and other jihadists. All these forces fighting with support from Assad’s enemies abroad. These is in fact, no “good guys” in Syria. It is a prevailing myth that western states don’t involve themselves enough in this conflict. The reality is that they have involved themselves already too much. Weapons, money and political support from the NATO-countries and NATO’s ally Saudi Arabia along with many Gulf states has lead to the creation of armies made up of foreign fighters. It is clear that the west is to the highest degree an active participant in the war, not a passive onlooker. In the media there is now a campaign in support of more weapons, more intervention, more of what NATO have done for five years already. They play on our feelings, they show us human suffering, but what they suggest will lead to more of the same. However, we have no illusions of the Assad government, Russia or its media. They have their own interests which they propagandize In favor of. This NATO lead media campaign is nothing new. On the contrary this is how it was during the American led NATO invasion of Afghanistan and Iraq. Additionally we saw similar patterns during NATO aggression against Yugoslavia in 1999 and with Libya in 2011. In none of these places has NATO intervention lead to better conditions for the local population. Their solution is not a solution against human suffering, but rather only means to achieve more power for western powers. We have the answer. 13 years after the invasion of Iraq we know they lied for their wars. They said Iraq had weapons of mass destruction, something they did not. They said Saddam Hussein committed terror against his own population, which was correct, but the invasion has multiplied the terror against Iraqis. The situation today is much worse than ever before for the Iraqi People. In Libya today there is no united government. The state of Libya is one of pure chaos. NATO’s aggression has destroyed the country and jihadists control large portions of it. This has been the pattern in all wars, especially in the last 100 years. Political leaders have positioned civilian suffering in front of themselves, in order to legitimize their wars. This does nothing but lead to even more suffering. Even the Hitler-regime dressed their wars as humanitarian intervention. When they invaded Czechia and Poland in both cases it was with an excuse to help minorities or prevent attacks against Germany and germans. Therefore we must look behind the propaganda, and look at their motives and goals. Those who have good motivations and goals we should support. In all other cases we should reject their propaganda and politics and work to lower the consequences for the Syrian People. At the same time as western politicians appeal to our emotions to legitimize their agenda in Syria, they close their borders to refugees from the very country they intend to bomb. That’s how far their humanism reaches. No support for western intervention or war in Syria. Condemn NATO for the blood on their hands. Full support for refugees, they deserve our warmest welcome.